The pregnant dancer recently revealed that she is working on and will soon be releasing a fitness instruction DVD for pregnant women. 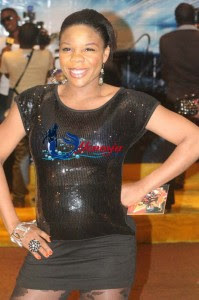 pls dont get me wrong,kaffy be done with child bearing let's say two or more come back with a trimmed body and then we will follow your fitness whatever.u still need a lot of experience b4 u lecture another.am a mother of two was very fit throughout my pregnancies and after and still very fit ooooo.meanwhile cheers u r a good dancer. Great! Fitness of a pregnant woman is very necessary for her baby health!